Former NDP MP Paul Dewar asks a question during Question Period in the House of Commons in Ottawa in September, 2014. 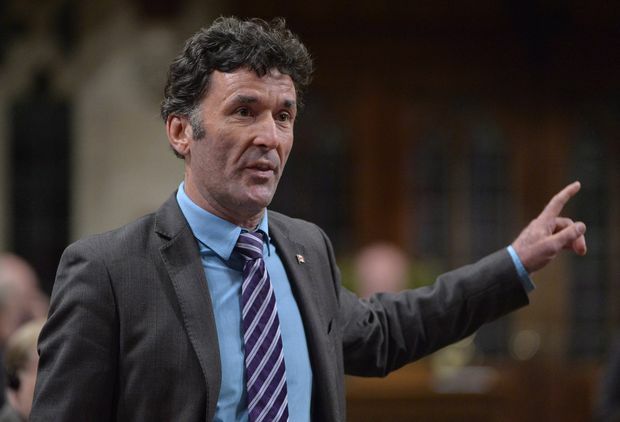 Paul Dewar, a teacher and union leader from Ottawa who became the New Democratic Party’s foreign affairs critic, died Wednesday after contending with brain cancer for a year. So it was startling when Dewar revealed in June 2018 that, as he was recovering from brain surgery several months before, he saw news of the high school shooting in Parkland, Fla., that killed 17 people – and that he “abandoned any hope” and was ready to give up. Inspired as Parkland students channeled their loss and pain into a rallying cry against gun violence in the U.S., Dewar decided to launch a new initiative to try to empower a new generation of leaders who would work for the greater good. In a farewell message posted to Facebook after his death, Dewar wrote that “true change can only come when power is transferred to young people unburdened by cynicism” – which is why he used what little energy he had left to create Youth Action Now. “Let’s make more art. Let’s play more. Let’s embrace each other in these days of cynicism and doubt,” the message said. Dewar is perhaps best known for having served as the MP for Ottawa Centre from 2006 to 2015, much of which he also spent as the NDP’s foreign affairs critic, following an early career as an elementary school teacher and union executive. Dewar’s path into politics meant following in some pretty big footsteps. His mother, Marion Dewar, was not only one of Ottawa’s most beloved mayors but also a heavyweight in the federal NDP and social-activist circles in the 1970s and ‘80s. Then there was Broadbent, the legendary former NDP leader whose short-lived political comeback started by trouncing Dewar during the latter’s first nomination battle in 2004. Dewar had been campaigning for the nomination when Broadbent decided he wanted back in. Yet it didn’t take long for Dewar to come into his own and make his mark with a respectful and pragmatic approach to politics – and his determination to fight injustice and cynicism at home and abroad. Former political opponents praised him Wednesday, with Prime Minister Justin Trudeau saying in a statement that Ottawa had “lost one of its most dedicated voices. “Paul Dewar brought people together, stood up for the most vulnerable, and touched lives in Canada and beyond. He showed us what stewardship looks like, and earned the love of his community and the respect of so many of us. He will be sorely missed,” said Trudeau. Then came the diagnosis in February 2018 that he had Grade 4 glioblastoma, the same type of brain cancer that killed Tragically Hip singer Gord Downie. Dewar had gone to the hospital when he felt numbness in his arm that didn’t go away – a bother he’d at first put down to being tired from a 36-kilometre skate on the frozen Rideau Canal. That’s five full lengths of the skateway that runs not far from his downtown Ottawa home.